The people of Nepal were extremely friendly. 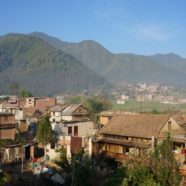 Maybe it was due to volunteering and being a member of the working community for two short weeks, but we felt welcomed, safe, and appreciated by the Nepali people. 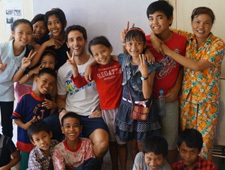 We built relationships with volunteer coordinators, host family members, students and teachers. Smiles and greetings of “Namaste” always made us feel a part of the city. 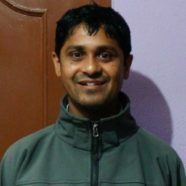 Keshab is a prime example of all things Nepali. I have to say, I like Nepali food. Simple, flavorful, and typically vegetarian. Our host mother and father prepared breakfast and dinner for us daily and we were happy to discover that our host father used to be a cook by profession. 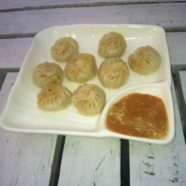 What better way to taste authentic Nepali cuisine? A visit to Nepal is not complete without hiking the Himalayas. 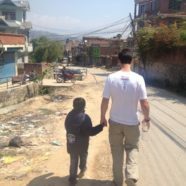 Months ago, when we were planning to volunteer in Nepal, I eagerly and naively asked Mike, “Oh! Should we hike Everest! ?” After being quickly shot down (apparently expert climbers die each year attempting this feat) and doing a little more research, I learned that it takes weeks to trek and acclimate to the altitude at even just Everest base camp. Since we only had 2 weeks in Nepal, we were going to figure out another way to get our hiking fix in. I could tell from the very start that this portion of the trip is when it would get “real”. No more culinary tours of India or beach hopping through Australia. We are now set to live like Nepali people during our first service project. 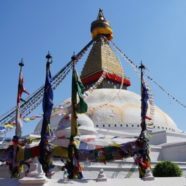 For Mike and I, our two week stay in Kathmandu, Nepal enabled us to, for the first time, live out each facet of our travel goals in one place: to venture, visit, and volunteer. After roughly seven weeks of seeing and experiencing as much as possible in New Zealand, Australia, and India, our first volunteer project couldn’t have come at a better time. We were ready to slow down and feel settled in one location for more than a few days. More importantly, we were ready to begin dedicating part of our time on this trip to volunteering. Kathmandu, Nepal would be our home for the next two weeks and the place that we would find comfort in a routine.